ATTENTION: Free Shipping on orders over $25 shipping to USA addresses for a limited time! 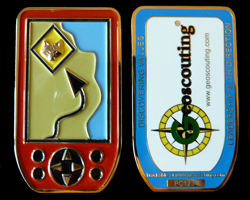 We have designed a geocoin to commemorate the Geocaching within the Cub Scout program. Perfect as a an award for those Scouts achieving the the geocaching rank requirement within the Webelos rank. This coin is trackable on Geocaching.com with a unique custom icon. This coin is 2" x 1.125" Shiny Gold finish with a soft enamal front with 3D relief and Imitation Hard Enamel inlay on the back. This coin also has a unique custom icon. Many of you have asked for new items to use as swag for Scouts and so we have designed a brand new GeoScouting GPS patch! What a great stocking stuffer for your scouts, dens, packs, troops, crews and all of your caching friends. 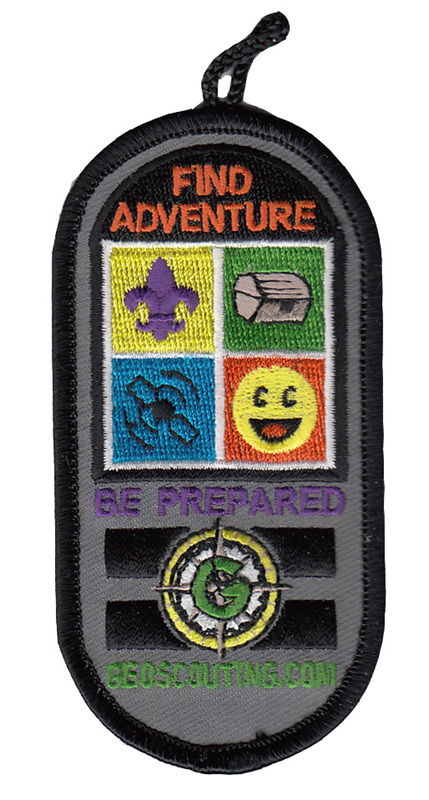 Many of you have asked for new items to use as swag for Scouts and so we have designed a brand new GeoScouting GPS patch! What a great stocking stuffer for your scouts, dens, packs, troops, crews and all of your caching friends. Use the pull down menu to order in the packaged quantity you desire. We have decided to sell our personal collection of the BSA 100th Anniversary Get in the Game geocoins to fund a Scouting project. These coins were made to celebrate the 100th Anniversary of Scouting. We have limited quantities. First come first served for $12 each. We are providing free shipping on all orders (USA addersses only)over $20 until further notice. Order today to maximize availability and delivery speed. We have designed a geocoin to commemorate the Geocaching Merit Badge that has recently been released. Perfect as a an award for those Scouts achieving the Geocaching merit badge. This coin is trackable on Geocaching.com with a unique custom icon. This coin is 1.5" Shiny Gold finish with Imitation Hard Enamel inlay. We have designed a geocoin to commemorate the Geocaching Merit Badge that has recently been released. Perfect as a an award for those Scouts achieving the Geocaching merit badge. This coin is trackable on Geocaching.com with a unique custom icon. This coin is 1.5" Shiny Silver finish with Imitation Hard Enamel inlay. We have designed a geocoin to commemorate the Geocaching Merit Badge that has recently been released. 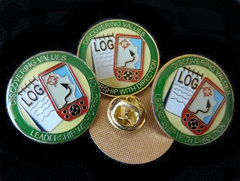 Perfect as a an gift for those Scouts achieving the Geocaching merit badge. This coin is NOT trackable on Geocaching.com. This coin is 1.5" Shiny Gold finish with Imitation Hard Enamel inlay. 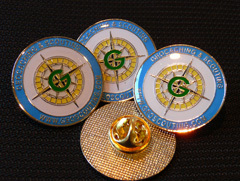 We have designed a lapel pin to commemorate the Geocaching Merit Badge. This pin is 1.0" Shiny Gold finish with color enamel and a epoxy coating. 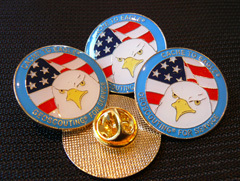 We have designed a lapel pin to commemorate the Cache to Eagle Series of caches placed around the country. This pin is 1.0" Shiny Gold finish with color enamel and a epoxy coating. 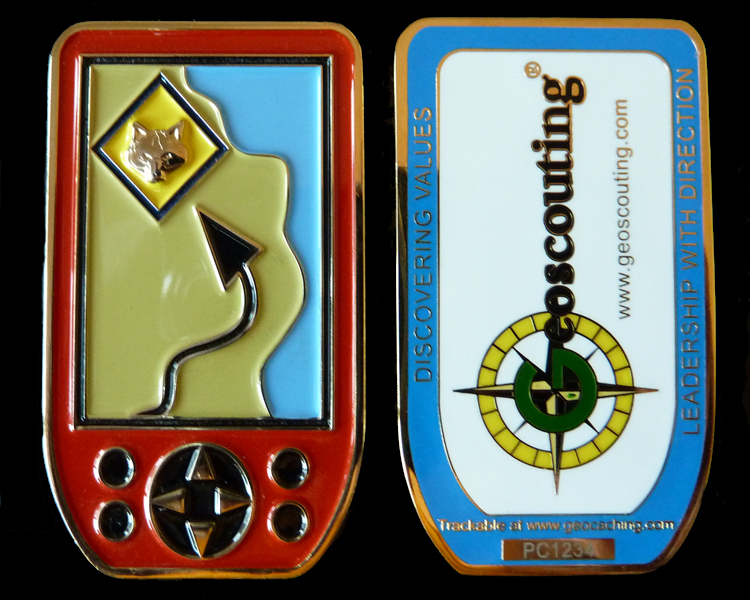 This pin celebrates Geocaching and Scouting with the Geoscouting Compass Rose logo. This pin is 1.0" Shiny Gold finish with color enamel and a epoxy coating. We have designed a geocoin to commemorate the Cache to Eagle Series of caches placed around the country. This coin is trackable on Geocaching.com with a unique custom icon. This coin is 1.5" Shiny Nickel finish with Imitation Hard Enamel inlay. We have designed a geocoin to commemorate the Cache to Eagle Series of caches placed around the country. This coin is trackable on Geocaching.com with a unique custom icon. This coin is 1.5" Shiny Gold finish with Imitation Hard Enamel inlay. We have designed a non-trackable version of the Cache to Eagle geocoin for those that would rather have a trading/collectable without the geocaching.com tracking number to commenerate the Cache to Eagle series of caches. This coin makes a great gift for that someone special or just a great collectable. The Cache to Eagle patch commemorates the Cache to Eagle series of caches placed in many councils and districts across the country. Own a piece of history by getting your own Cache to Eagle Patch. The Cache to Eagle patch commemorates the Cache to Eagle series of caches placed in many councils and districts across the country. Own a piece of history by getting your own Cache to Eagle Patch. Use the pull down menu to order in the packaged quantity you desire. 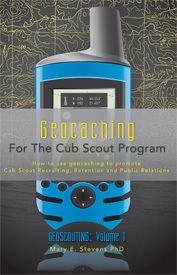 This is another in the Geoscouting series of eBooks that offer insight and guidance into how to use the growing sport of Geocaching to enhance your Cub Scout program. This book introduces you to the fundamentals of Geocaching and how to apply it in your Cub Scout Den or Pack to promote membership, retention, advancement, and public relations. This book offers some fun game ideas that are directly usable for your Cub program. Once you purchase this book you will be emailed a download link that will allow you to download the file to your computer. You will need Adobe Reader to open this file. This eBook is only available as a electronic file in PDF format. 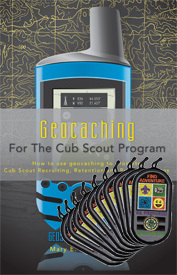 This is a bundle of the eBook "Geocaching for the Cub Scout Program" and 10 each of the Geoscouting GPS Patch. This is perfect for the Cub Den just starting with Geocaching. It provides the eBook that will guide the Den Leader through all of the requirements and provide insightful ideas as to how to use Geocaching within the den program. It will also provide 10 patches to be used as awards when Cub Scout requirements are accomplished. 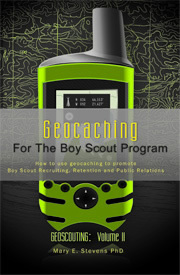 This is the first in the Geoscouting series of eBooks that offer insight and guidance into how to use the growing sport of Geocaching to enhance your Boy Scout program. This book introduces you to the fundamentals of Geocaching and how to apply it in your Boy Scout Troop to promote membership, retention, advancement, and public relations. This book offers some fun game ideas that are directly usable for your troop program. 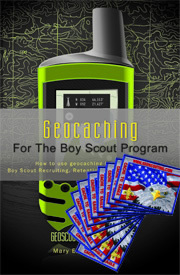 This is a bundle of the eBook "Geocaching for the Boy Scout Program" and 10 each of the Geoscouting Cache to Eagle Patch. This is perfect for the Boy Scout Patrol just starting with Geocaching. It provides the eBook that will guide the Scout Leader through all of the requirements and provide insightful ideas as to how to use Geocaching within the Troop program. 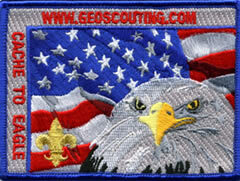 It will also provide 10 patches to be used as awards when Boy Scout requirements are accomplished.